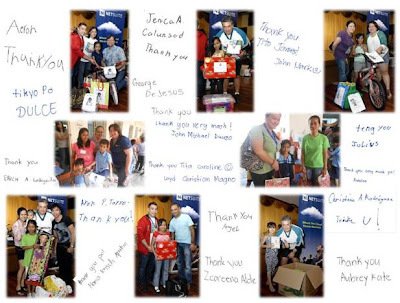 Leading cloud ERP software company, NetSuite and members of SuiteImpact team – the company’s employee-volunteer group, held its 5th annual Adopt-a-Child giving program with non-profit partner Philippine Christian Foundation (PCF). Employees generously provided gifts for 120 children, which included one of the popular gifts - a bicycle! Dozens of employees were present to share the special moment with the young owners of new bikes and other Christmas presents. Gracing the event were NetSuite senior executives (standing, last row) James Dantow, General Manager & VP Worldwide Customer Support and David Geilhufe, NetSuite.org Program Director. 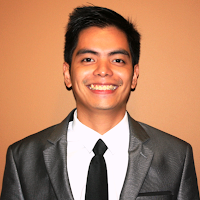 Other executives present were NetSuite Social Committee headed by Jheng Ponciano, Vice Pineda, Mitch Lucentales & Bernie Cadaing, NetSuite SuiteImpact Team Ambassador headed by Louie Baltazar and NetSuite.org Team members Mariel Bertumen and Rhoda Navarro. NetSuite.org is the corporate citizenship arm of NetSuite, leveraging the company’s assets to create social impact for charities and social enterprises around the world. 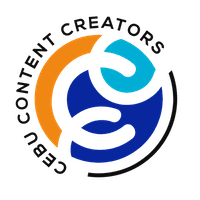 Through our unique initiatives, including product donations, pro bono service grants and social solutions we are supporting organizations worldwide better achieve their missions. 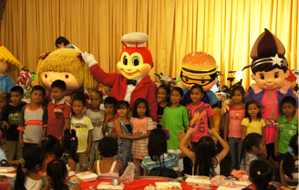 A program with the lovable Jollibee mascots made the children squeal with laughter and positive energy. 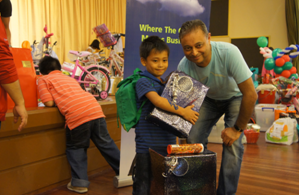 Kamlesh Rajyaguru, who represented NetSuite’s London office, was all smiles with his adopted Kid for the day. It's really feels good when you do something that can makes other people smile a lot. A big heart is better that having a big pocket.